The liturgy/Mass is the summit toward which the activity of the Church is directed; at the same time it is the font from which all Her power flows. The aim and purpose of the Mass is that all who are made children of God by faith and baptism should come together to praise God in the midst of God's Church, to take part in the sacrifice, and to eat the Lord’s Supper. 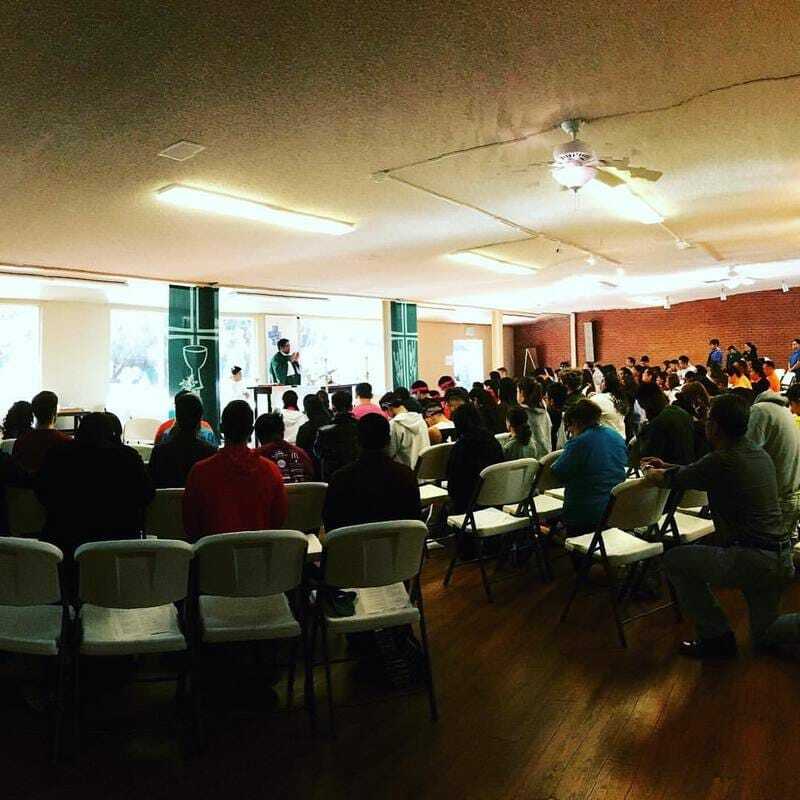 Our student mass is unique - we count on the students and community to actively participate in the Mass. Liturgical ministers are an integral part of the Mass proclaiming the Word of God, giving communion and leading the congregation in prayer. 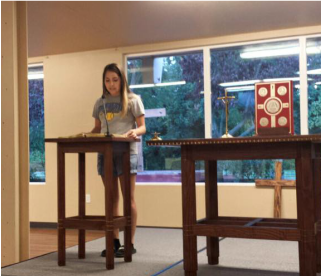 If you have served as a Eucharistic Minister or Lector in your home parish, or if you would like to become an Extraordinary Minister of Communion, Lector or Assistant Minister (there will be formation and orientation), we would love to have you serve with us! Please fill out the form below if you are interested in serving. As St. Augustine says, "Singing is for the one who loves." Singing raises the liturgy to new heights and that is an important part of the Newman experience. 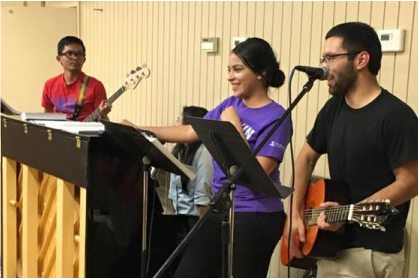 If you like to sing or if you play an instrument, we can use your talents at our Mass. The choir practices during the week and before Mass. To join the choir, please fill out the form below and check "Music Ministry."